Malon legend warns of poisonous monsters, the Vihaar. 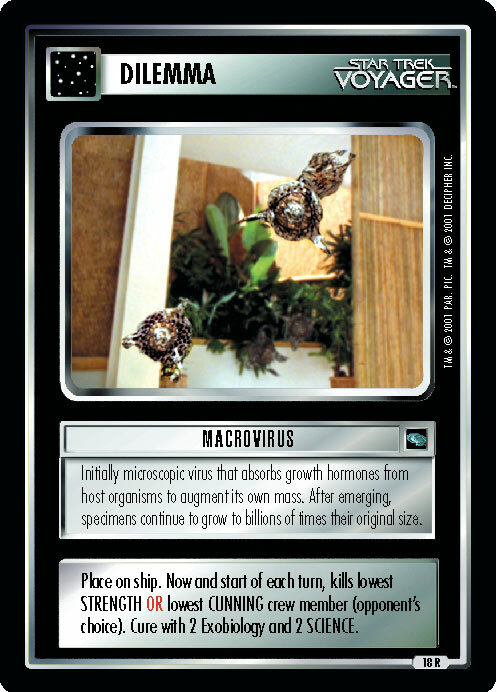 When aiding a damaged Malon ship in 2375, a U.S.S. Voyager away team discovered the threat they'd dismissed was all too real. 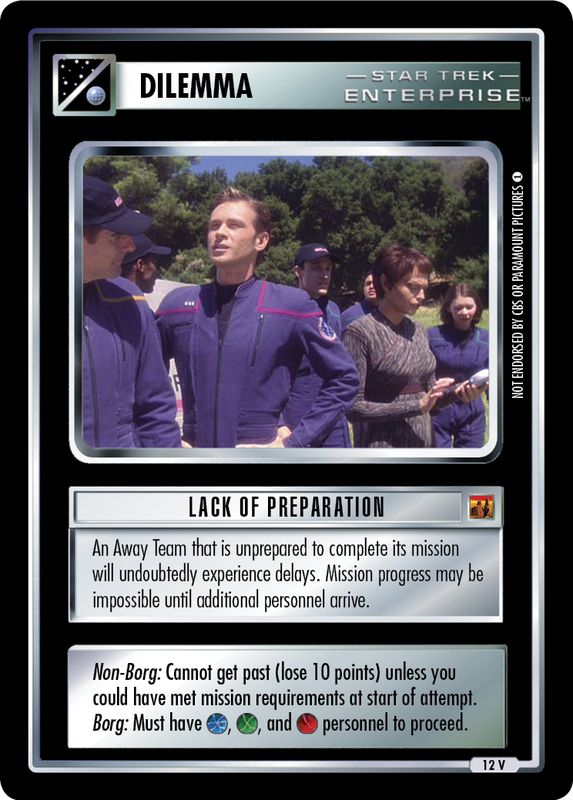 Non-Borg: Cannot get past (lose 10 points) unless you could have met mission requirements at start of attempt. 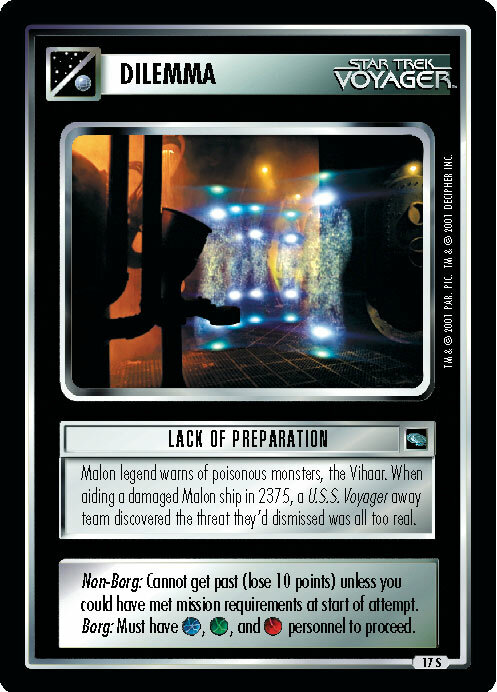 Borg: Must have , , and personnel to proceed.